And so began our journey with ARFID. A few quick facts about ARFID. Most patients and parents agree: It’s way beyond picky eating. Learning that my child has ARFID is definitely not one of my proudest parenting moments. We had been struggling with “picky eating” for years. I yelled, screamed, bribed, punished, ignored, you name it. And if you happened to look up “what not to do for a kid with ARFID” in the dictionary, it pretty much names all those things. Yes, I know that’s a phrase, not a dictionary word. You get my point. I did everything they tell you not to do. But, I didn’t know. I finally took him to a psychologist and after a few visits, she told us. ARFID. 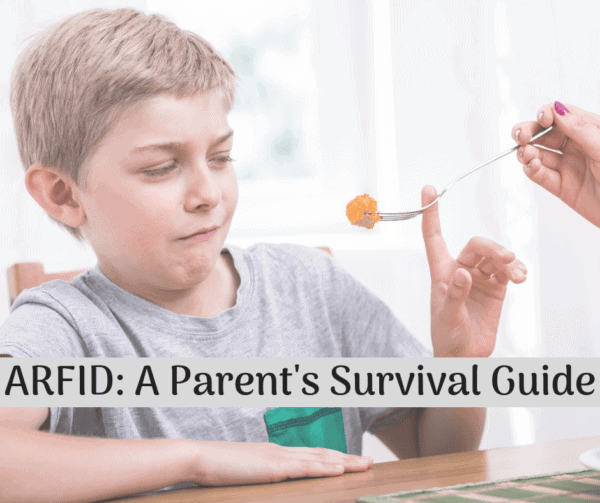 ARFID stands for Avoidant Restrictive Food Intake Disorder. It’s new to the DSM 5 in that name. It was previously called Selective Eating Disorder. For that reason, you may see some long-standing ARFID families refer to it as SED because they’re used to the old name. Turns out many ARFID cases are hallmarked by having a single event as a trigger. Even if they don’t remember the specific event. My gut feeling that this was extreme behavior and it was getting worse, not better. His BMI was low and getting lower each checkup. It was ruining our relationship. Now, that last one. I don’t intend to make it all about me. This is about him. However, this was causing extreme stress for both of us at mealtimes that would carry over into other areas of the household. It goes back to that gut feeling that this was more than picky eating. Here is one example of how it became evident that our situation was worsening and this was beyond picky eating. He used to eat yogurt, almost any kind. Then he said he only wanted a certain brand. I purchased only that brand, and then he whittled it down to just two flavors of that certain brand. From there, it went to one flavor. And one morning, when I served him that one flavor of that one brand, he declared he could not eat it because it had too much condensation on the top, which was not even acceptable after I stirred up the cup of yogurt. I’m not a doctor nor do I play one on the internet. So if you are reading through the warning signs and diagnostic criteria above, I’d make an appointment with your doctor. Or a psychologist, but many require a referral first. Your psychologist will likely also ask to see your child’s growth charts. He/she may also have you keep a food diary, so you can ask about that when you make your initial appointment. ARFID is treatable. But like many health issues and eating disorders, what works for an individual will vary. Some cases are so severe that they require long bouts of in-patient hospitalization. Others are fine doing occasional outpatient. Families may be able to find support groups near them and meeting in person might help. We’re addressing it via behavioral. And by that, I don’t mean screaming and yelling and threatening. It was actually quite a relief to receive my son’s diagnosis. We both immediately felt less pressure to just “eat” or “get him to eat.” We’re using some techniques that his psychologist has given us. (not going to share because again, not a doctor) In the past two months, he has made more progress in eating than we have for the previous two years. My child will drink Ensure and many yogurt drinks. While they’re not cheap, I am giving him more of those. That takes the pressure off as far as him getting decent nutrition and calories in while we work on improving his eating. I think he’s in a better mood too because he’s not always hungry or eating the same thing all the time. Can I add ARFID accommodations to the IEP? Short answer, yes. IEPs are needs-driven, and if it is an area of need, should be in the IEP. 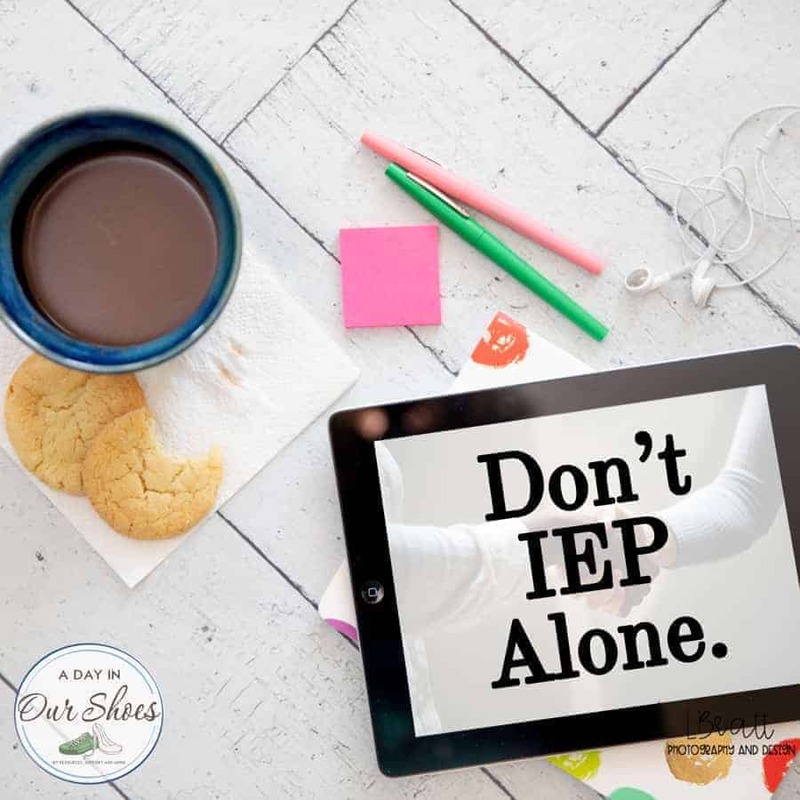 However, knowing what I know about an IEP and how they are implemented (or not, as is often the case), and knowing what I now know about ARFID, this is not a battle I would choose to fight. Yes, as far as case law and guidance from OSEP, feeding therapy is a related service for an IEP. But, my son will eat 1095 meals a year, assuming he eats 3 meals a day. Only 180 of them will occur at school. Is the school really going to “fix” something that they only have control over less than 15% of the time? Plus, when you read up on ARFID you will learn that stress, socialization and other factors affect overcoming ARFID. I feel like kids, especially the disabled ones, have enough stress factors in a school day. Let them have their safe lunch. Send them with what they want. Do they really need another therapist or teacher hovering over them during lunch? I absolutely would push for accommodations if that is what my child needs. For example, if your child with ARFID will only eat a specific food reheated, I would get that as an accommodation. Most schools will not personally reheat food for students. But for some, they really only eat one food. The other 900+ meals will take place in my/your home where we can control the environment better. I would prefer to be able to help and progress monitor my child that other 85% of his meals, and then when goals are achieved, work toward applying across environments. But yes, if you want feeding therapy and ARFID addressed in the IEP, you handle it like any other issue. Use these 5 important steps in the IEP process. Parents and patients can also find ideas and resources from some Facebook groups. I didn’t particularly find them helpful, as it was more beneficial for us to block out other “noise” and just stick to the plan with his doctors. If you’re struggling at home with a kid and it feels like it is much more than picky eating, hopefully, this gives you some ideas to pursue. It does get better. « Want to support hiring people with disabilities? Then shop at these 8 retailers.